I took this last wedding photo of the bride and groom at Grand Tradition Estate and Gardens exiting the reception surrounded by their guests. 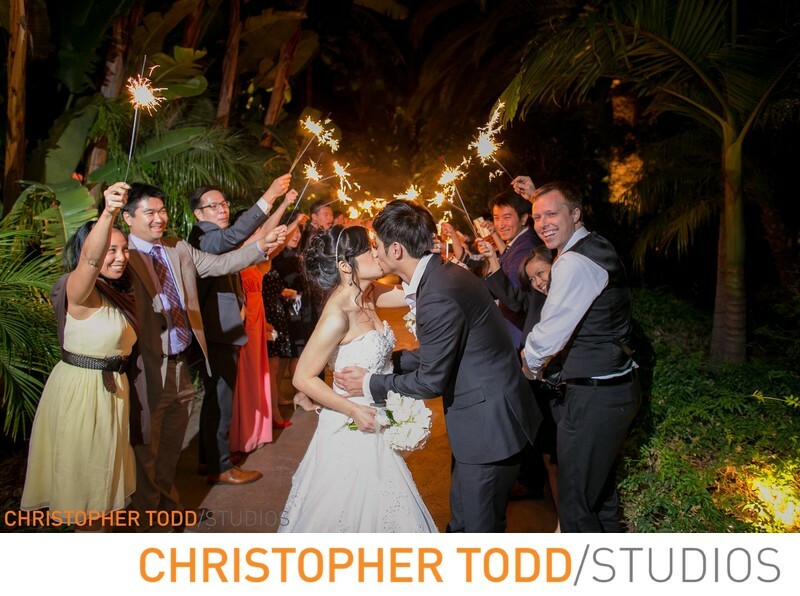 They were holding sparklers to send the couple off with well wishes. A perfect way to end the festivities. Location: 220 Grand Tradition Way, Fallbrook, CA 92028. 1/20; f/2.8; ISO 2000; 24.0 mm.